Hey everybody. Today I want to do something a bit different on the show. But oddly, the same thing I do all the time. That is talk about the state of the shop I work in. Today we talk about some of the things that I am seeing going on, some of the common issues, and the jobs we are seeing. This is kind of a Shop Shots in video form. Well, minus some of the pictures. Trouble viewing video? Watch “The State Of The Shop ~ Podcast Episode 41” on YouTube. As always, your questions and comments are welcome. Please post them below. 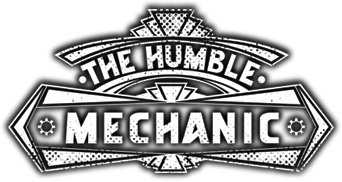 If you would like to suggest a topic for a show like this, email me Charles(at)HumbleMechanic(dot)com, or use the contact me form. Also thanks to VW for hooking up some sweat VW Driver Gear. Great video, its good to see what other shops are seeing. I’m at a small dealer, 6 techs, and sometimes we don’t see trending problems until well after other shops have. I also find it amusing about how jobs tend to clump together like that. Last Feb I must have done half a dozen rear mains on ccta cars, and I think I’ve done one since then. In our shop, we’ve had a run of ccta cyl heads, mainly in tiguans. I did 3 last month and another tech finished one up yesterday. I had one that skipped time, but the rest have been for scoring in the cam journals. While doing a re-seal, head cover, upper timing cover, lower timing cover, breather, we’ve found the cam journals all chewed up and deep grooves in the cams. All the ones I’ve seen failing like this were cars that came in with no drivability problems, just for maintenance, no oil pressure lights, no cels. We noted leaks and had them approved. It’s crazy how they come in waves. Hi Charles. Like James, I work at a small dealership with only 4 techs including me. We actually had a Jetta come thru the shop with a rear axle beam out of spec a few weeks ago. The process for the repair was a lot more difficult than it should have been, but I would hope VW has that issue resolved at this point. Digging the blog man, keep it up.